Follow this simple video tutorial or read the instructions below. Bablic associates each translation to a specific piece of text in the original website. 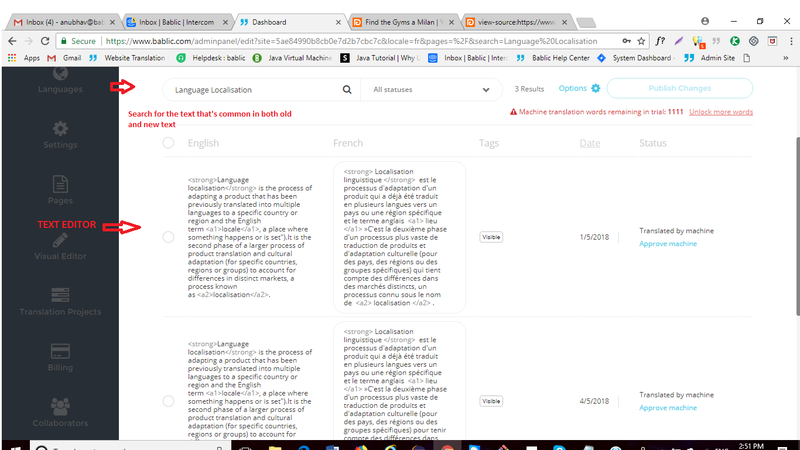 If that specific text changes, Bablic is no longer able to apply the same translation, as it might be no longer relevant. This can get confusing, especially when the changes in the original content are minimal. I just added one word to a paragraph and now the translation for the entire paragraph has disappeared. The reason for this, is that according to Bablic that is now new content, and new content needs a new translation, the old one doesn't work anymore. Absolutely NOT! Your translation is still safe and sound in Bablic's database, and can be recovered very easily. How do I recover my translation? 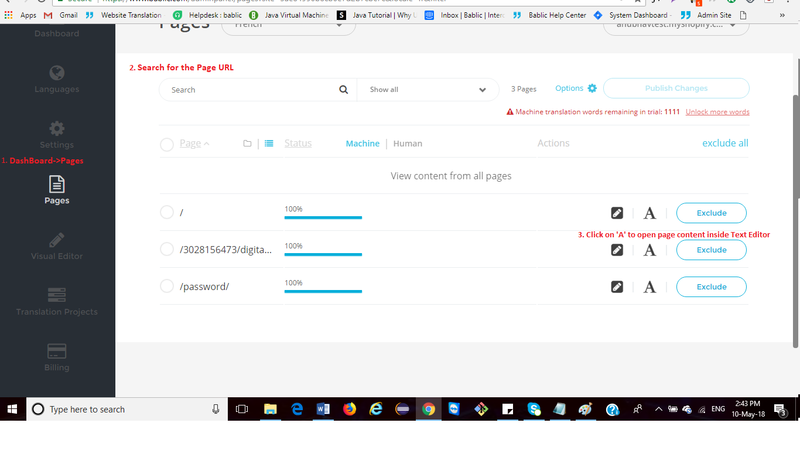 b) In the text editor, use the search bar at the top of the page to search for a word or a sentence that appears in BOTH the old and the new content. Bablic will display both of them. 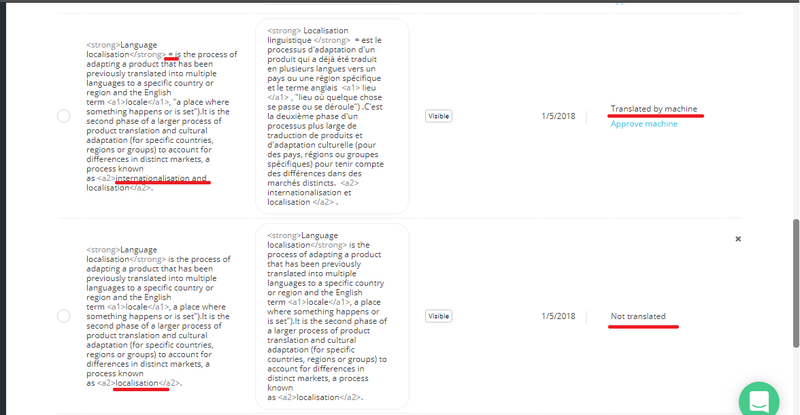 c) You will see that the old content is still associated with the old translation, while the new content is not. d) Simply copy/paste the translation from the old content to the new one. In the event that you wish to keep the translation for a specific element regardless of changes made to the website, you can use HTML Markup, specifically the bablic-id tag. This will keep the translation of the tagged element unchanged, no matter how many time the original content is updated.